‘Access to Places of Worship in the 21st Century’ was the theme of the 2013 Historic Churches Liaison Group Conference, held at St Chad’s Roman Catholic Cathedral in Birmingham on 16 May 2013. 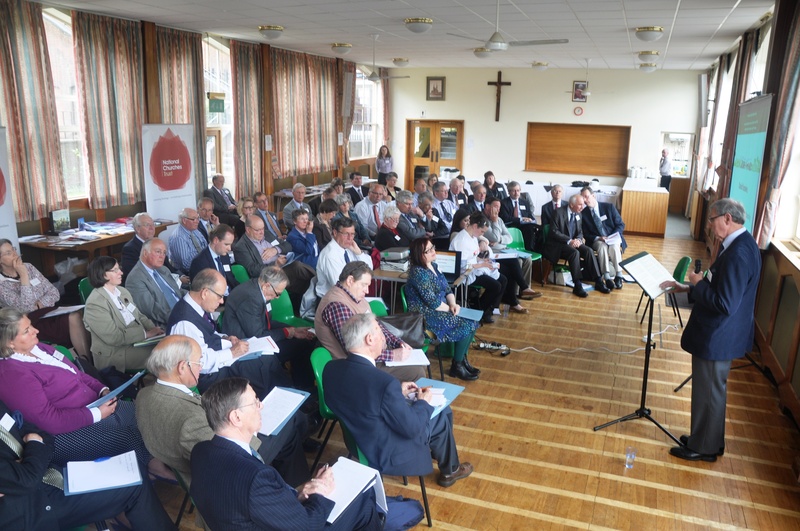 Over 60 delegates from Local Church Trusts around the country attended and heard from an impressive line-up of speakers about the many different meanings of the word ‘access’. You can see photos from the Conference on our flickr site . Ian Morrison, from the Heritage Lottery Fund (HLF) was the key-note speaker. 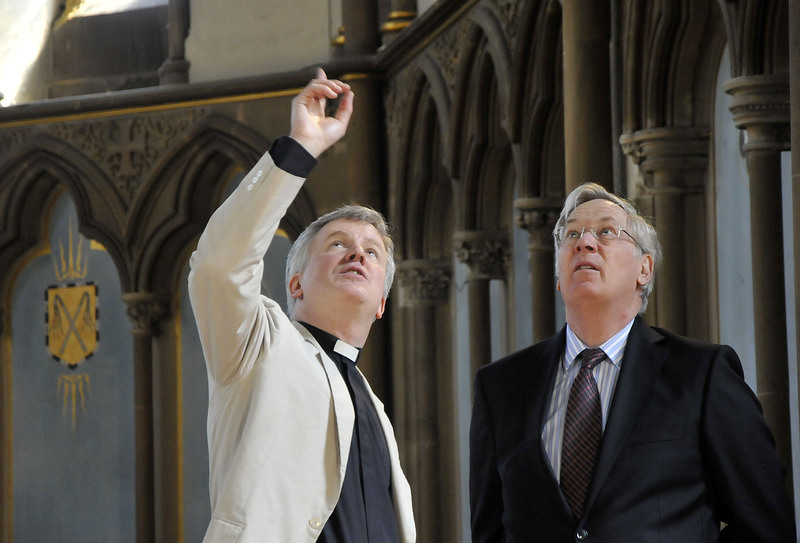 The HLF now administers the Places of Worship funding stream. Applications for grants from this funding stream now need to take into account two outcomes: i) ensuring that heritage is in a better physical condition and ii) ensuring that more people and a wider range of people engage with that heritage. Access increasingly means bringing more people into contact with places of worship. The latest census results indicate that although considerable numbers of people do still attend church, fewer people call themselves Christians. This is, in marketing speak, an ‘opportunity’ as there is a growing pool of people who have never been in these ‘strange buildings’ called churches . This opportunity to ‘market’ the heritage and architecture of churches, and also tell the story of Christianity in these islands has been seized on by Stuart Beattie, from the Scottish Churches Trust (SCT.) 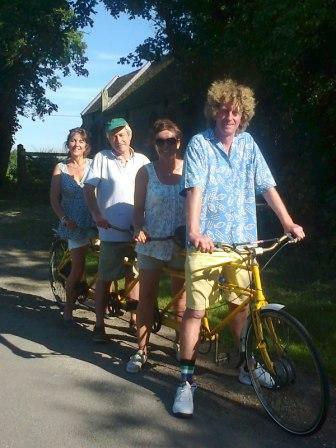 He told delegates that the SCT’s ‘Pilgrim Journey’ initiative is proving extremely popular. This national network of pilgrim routes focuses on the wish of both visitors and local communities to be able to access church buildings in a meaningful way – whether the visit be occasioned by spiritual or heritage motivation or both. You can discover Pilgrim Journey on a dedicated website. Maybe an idea like this could spread south of the border and become a one stop shop for church heritage? One of the most powerful talks was by Philippa Woodcraft from the Through the Roof charity. Philippa is blind from birth and she explained to delegates that many places of worship still have physical access issues which prevent people with disabilities getting into and around the building. But an equal problem in some places of worship is the way in which people with disabilities are treated when visiting. Sadly, a few are still less than welcoming. Perhaps this is simply due to embarrassment or not knowing the right thing to do to assist someone with a disability? Luckily help is at hand from charities such as Through the Roof and more details about their work can be found on their website. 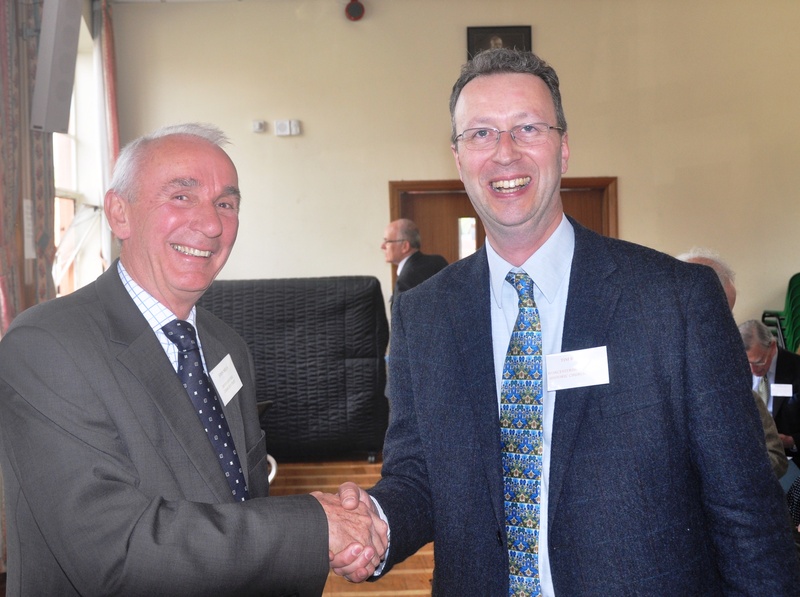 During the conference, Tim Bridges, who for four years has chaired the Historic Churches Liaison Group, handed over the reigns to John Mills, who is also Chairman of the Devon Historic Churches Trust. Tim also announced a change of name for the Group, which in future will be called the Churches Trust Form. The plan is to build on the success of the HCLG, ensure representation and input from all parts of the country and to make sure that the voices and needs of County and Local Church Trusts are properly represented to decision makers involved in the care and management of places of worship. 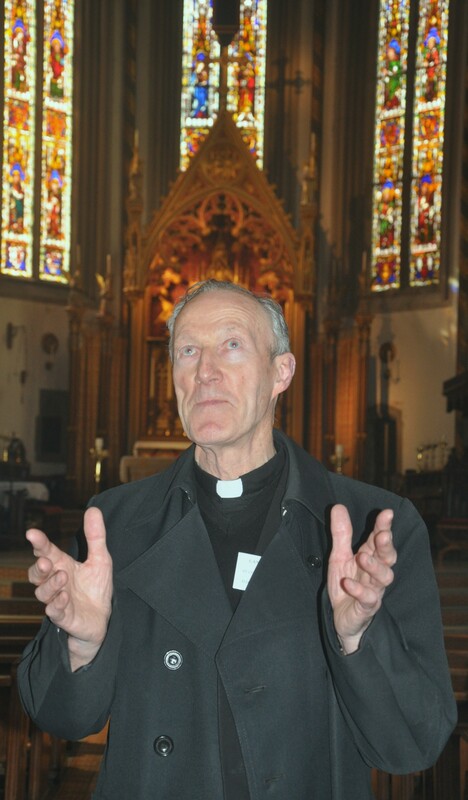 The day was rounded off with a fascinating tour around St Chad’s Roman Catholic Cathedral by Canon Edward Stewart. St Chad’s was the first Catholic cathedral erected in England after the Reformation and designed by Augustus Welby Pugin In the 1960s, a number of the fittings, including Pugin’s rood screen, were removed and one can sense their absence. (The rood screen was re-erected in the Anglican parish church of Holy Trinity, Reading.) But the Cathedral is well worth a visit, not least to see St Edward’s Chapel, designed by Pugin’s grandson, Sebastian Pugin Powell.The chapel windows depict the fascinating history of the relics of St Chad. PS. The Conference was supported by the National Churches Trust and thanks must go to Alison Pollard, Grants Officer, and to Suzy Minett and Georgina Rogerson for their hard work in making for such a successful and productive day. In a guest posting, Mike Hayward of Ecclesiastical Insurance explains how it is possible to ensure the security of your place of worship whilst offering hospitality to people for whom this might make all the difference to their lives. If any building should operate an ‘open door’ policy, it’s a church. Unfortunately, crime figures suggest that an open door to an empty church is an invitation to less-than-welcome visitors. However, there are things that you can do to protect your church and its contents and still keep the church open to the community. Keeping churches open outside of services of worship is a vital element in the link they have with the community they serve. 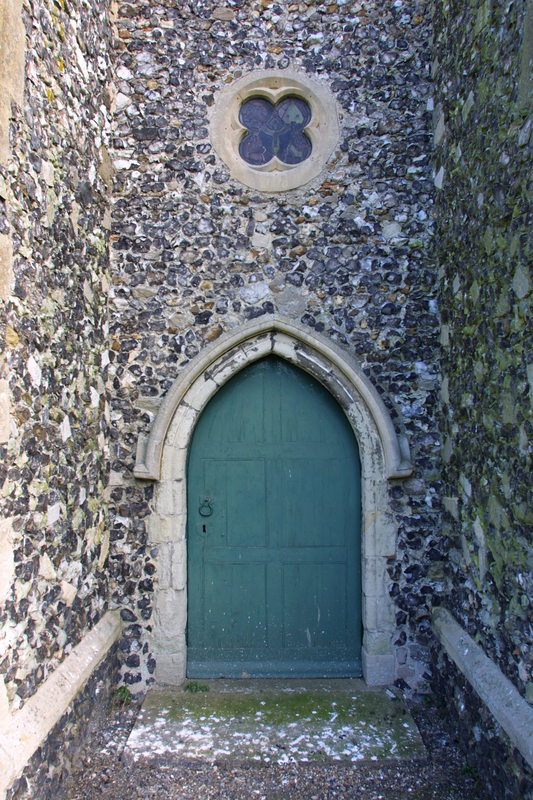 An open door enables people to find a quiet place to pray, it offers somewhere to sit and think, and it enables visitors to the area to enjoy any historical treasures you may have. A steady flow of legitimate visitors also helps deter those with criminal intent. If you can, try to have someone on duty in the church at all times by having a rota of church sitters, or organise cleaning, grass cutting and other routine activities so that there is someone in the church or churchyard for as much of the time as possible. If that is not realistic, you may be able to achieve a compromise by organising set hours when volunteers are available,which can be displayed on the door. Remember though that someone left on their own could be at risk, so you need to have measures in place for their personal safety. Ideally, church sitters should work in teams of two, they need to have some form of communication such as a mobile phone, and consideration should be given to providing personal attack alarms connected to an alarm system. There also needs to be someone readily available to respond to an alarm call. All portable valuables should be marked with an Ecclesiastical-approved forensic marker such as SmartWater, and associated signage should be displayed prominently outside the church to deter thieves. Lock away in a safe as many valuable and portable items as possible – certainly any silverware and also, if possible, brass and pewter items as these metals also have a value to thieves. The vestry can be used as a lockable area for smaller items of furniture and furnishings. 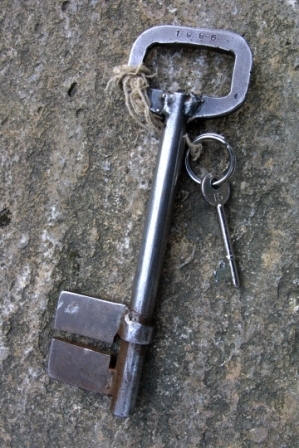 To reduce the risk of arson, anything that could be used to start or feed a fire should be removed or locked away. If a theft does occur, recovery is very much easier if there are photographs of all valuables and portable furniture. Keep two sets of photographs, one in the safe and one in a safe place away from the church. Making the church building a focal point for the wider community can be a way not only of attracting visitors, but also of having people on site whose presence will deter thieves. In communities where local facilities are scarce or non-existent, some churches are playing their part by hosting activities such as post offices, village shops and even farmers’markets. One such is St Giles, Langford in the Diocese of Chelmsford which has opened a small village shop in its vestry. The vision behind the project was to make the church more accessible to people, to provide a service for the village and to enable parishioners to get to know other people in the community. It has brought villagers together and the church has benefited from an increased number of visitors. Although complex to instigate, projects such as this do have the knock-on benefit of the broader community developing a stronger commitment to their parish church and also helping ensure its security because they feel a greater sense of involvement and ownership. There are many ways of ensuring the security of your church whilst offering hospitality to people for whom this might make all the difference to their lives.